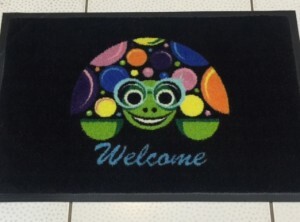 A pictorial welcome mat for your front door 45cm X 70cm with special effect images that will make a great first impression. The mat will absorb moisture and trap debris providing a safe and clean environment. Machine washable. Not suitable for full sun positions. You also can have your own custom image (extra cost). 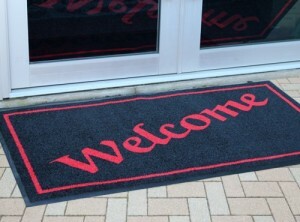 The Welcome Mat is designed to make a great first impression, while absorbing moisture and trapping debris, providing a safer and cleaner environment. 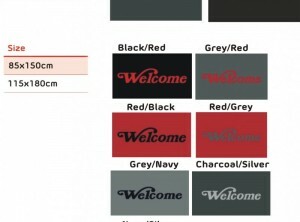 The 100% non-slip Nitrile backing ensures the mat stays flat and in place to prevent trips.